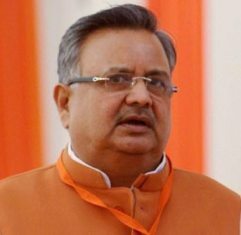 Raman Singh, the Chief Minister of Chhattisgarh on 25 February 2014 announced that a new Law Commission will be set-up in the state to suggest changes in laws as per the geographical and social requirements of the state. This announcement was made in the state Assembly. Some laws are in force in the state since it was a part of Madhya Pradesh but they became obsolete after Chhattisgarh was created as a new state in 2000. Apart from the formation of the Law Commission the state government has sanctioned a rail corridor project based on Public Private Partnership (PPP) model under a new initiative. Following these announcement, the State Assembly passed the state budget of 57149-crore rupees for the financial year 2014-15 by a voice vote.